Oh the choices! Amp it up with a super vibrant Shocking Pink or play it cool by mixing with the in-pack conditioner for a softer pastel result. I used this shade on lightened hair and it turned out extremely vibrant. The colour lasted really well and grabbed a lot of attention! Response from Schwarzkopf LIVE: Glad to hear that Louise - thanks for the review! This is the only semi-permanent hair dye that doesn't stain my forehead when it sweats under a beanie/hat! Really vibrant colour and lasts really well! Even when I use a scalp exfoliator/deep cleaning shampoo! Only thing that I slightly dislike, is the thickness.. But I just add a bit water to it and problem solved! I’ve been using this colour for about a year and have never had so many compliments! Everyone loves it. I need to re-dye about every 10 days as it goes peachy brown at the back and sides. Not sure why. My hairdresser bleaches it about every 2-3 months so it goes brighter. Response from Schwarzkopf LIVE: Thank you for your lovely review Vickie! Make sure you use moisture rich treatments at least once a week- and you can even add a touch of the Shocking Pink to the hair treatment to pro-long the vibrancy, while it's conditioning your hair :) Hope this helps! I bought this as I fancied harking back to my bright-haired student days, but didn't want to commit to a permanent colour due to the nature of my job. This is easy to apply with a pleasant smell, and didn't stain through the gloves. Rinsing is easy and it left me with a bold colour, and super soft hair. I would buy this again without doubt, and can't wait to try the rest of the range. **disclaimer** I am strawberry blonde naturally, and put this onto my natural hair colour. It came out exactly like the model's on the box - however, I can see that those with mousy or darker hair may need to lighten beforehand to get a bold result. Amazing! My hair wasn't even that blonde, it was more golden, and it turned super vibrant like the box! It slowly faded to a really nice pastel pink and lasted about 20 washes. I love this colour. I have had it in for 2 weeks now and it still is bright then ever. I love live colours they always stay a long time in my hair. I always use your colours and now love this one too. Just wish it was permanent but don't mind buying it again to keep it bright. Response from Schwarzkopf LIVE: Thank you for your lovely review Charlene! We hope you continue to love our products for years to come! I love it. Used the 096 (Turquoise Temptation) before and they are both great. It saved me from a hair disaster after a different brand dye worked horribly. Luckily I had this to fix it and I'm lovinh the result. Best pink hair dye! Stays in for a long time and doesnt stain. I used this colour for the first time as I was looking for a new pink to replace the one I normally use as it wasnt working the same as it used to so thought I’d give it a go. I was not disappointed it is the most vibrant best product I have ever used to get my hair pink. It has amazing coverage and give a super even colour all over. I love it’s so pink!!! Love the colour deffo use conditioner to mix with as it is very thick tho if u want it bright like I do it doesn't change it. Lasts really well and is a really nice colour!! Great hair dye! A lot less expensive than other brands but longer lasting, the pink suited my skin tone really well and when it faded out to a pastel it didn't wash me out. It took a long time to fade which was great for the product but not for school... Thanks! Really nice bright colour and easy to apply (recommend mixing with a bit of conditioner). I also really like the way it fades evenly giving a kind of dirty pastel pink (my hair is blond/light brown) and eventually disappears so it looks good whether I've just done it or it's nearly gone! Response from Schwarzkopf LIVE: Glad to hear your great feedback Susannah - thanks for sharing! Used this multiple time now for pink streaks, the first time the colour lasted for a long time! However, it seems the more I dye it, the shorter it lasts. After 1 wash, the colour has gone from a vibrant pink to a pastel pink/ strawberry blonde, which is vey disappointing. Loved it I'm so much more confident and have a new sense of self pride!! Response from Schwarzkopf LIVE: Lovely to hear Sophie! Thank you for your review! I've been looking for a vibrant and long-lasting pink hair dye for quite some time now and I am very happy to have found this product. I wasn't expecting to get a good color payoff since my hair still had purple streaks left, but to my surprise I got just the shade I wanted and my hair felt softer and healthier than before. Application was easy and two boxes + the conditioner included were just enough to cover my chest-length hair. Overall I had a great experience with this product and I will definitely use it again. Beautiful color. I've been looking for a vibrant and long lasting pink for quite some time now and I am really happy to have found this product. It's easy to apply and it smells really good compared to other hair dyes. My hair goes a little under my chest and two boxes of the dye + the conditioner were just enough to cover my entire head. I was afraid it wouldn't look that good because my hair still had purple highlights since the last time I dyed my hair but I got just the color I wanted and my hair also feels more soft than before. I am very happy with this product. Response from Schwarzkopf LIVE: Thanks for your review, Ramona! Loved this colour so much had so many comments on my hair deffo recommending to a friend if only it was in permanant . Was nervous about going so bright but I love it and get so many people saying how nice it looks. Response from Schwarzkopf LIVE: Wonderful to hear, Karina! Used this after a professional messed up my blonde and have to say I'm not disappointed. It's so glossy and made me feel a lot younger too. Glad I done it! Response from Schwarzkopf LIVE: Great to hear Shelley - thanks for sharing! Response from Schwarzkopf LIVE: Thanks for the review, Sharni! Also love the vibrancy of this colour and how easy it is to apply! Response from Schwarzkopf LIVE: Thanks for the review, Michelle! amazing!! such a bright rich color, was so easy to apply and looks great. perfect coverage couldn't be happier. i have thick shoulder length hair and i used a tube and a quarter of a second one. Response from Schwarzkopf LIVE: Thanks for the lovely review, Sophie! Response from Schwarzkopf LIVE: Wonderful to hear, thanks Shelley! Response from Schwarzkopf LIVE: Thanks very much for the review, Claire! I used this on bleached hair. Came out very bright, I was very please with the results. Goes great with my black hair underneath. Lasted well. Response from Schwarzkopf LIVE: Thanks a bunch for the review, Terri! Love this hair dye, so easy to use. Wanted to go for the pastel pink but ended up just putting the pink dye with a touch of conditioner on my hair for 5mins and got an amazing colour. Response from Schwarzkopf LIVE: Thanks a bunch for the lovely review, Daniella! I had medium blonde hair, I mixed a few small pea sized amounts with white conditioner (which is tricky as the cream is extremely thick and difficult to mix) applied to ends for inner look, left 15 mins and washed out. I was a bit concerned about the brightness when washing out so I was a wimp and washed with shampoo also to tone down! I am very happy with result, it's lots of different shades of pink / peach which I love. Maybe next time I'll not use shampoo (as directed) and it'll be even nicer!! Iv got loads and loads left to do it again and again. Definitely worth the money and I'd buy again and very easy to do myself. Response from Schwarzkopf LIVE: Thanks very much for your review! Response from Schwarzkopf LIVE: Thanks very much for your review, Michelle! Response from Schwarzkopf LIVE: Thanks for leaving your review Morgan! So impressed! Easy application and smells great too. I love how it had faded gradually with each wash so it's almost like having a whole new hair colour every few days. I had blonde hairs of varying shades so this resulted in different shades of pink too which was ideal. Response from Schwarzkopf LIVE: Great to hear that Liz, thanks for taking the time to review! The colour comes out really vibrant but it washes out within a week and leaves it a patchy orange colour completely not happy. I don't even have very long hair but I end up having to use four bottles because or how rough and thick the cream is. I wouldn't recommend this to anyone. Really disappointed. Lost a lot of money. Response from Schwarzkopf LIVE: So great to hear Lucy, thanks a lot for the review! I love this pink! I can't get enough of it! Everyone comments on how nice my hair looks! Response from Schwarzkopf LIVE: So glad to hear it Clare, thanks a lot for the review! Response from Schwarzkopf LIVE: Glad to hear it Dolina, thanks so much for the review! When I saw this colour I wasn't sure if I wanted it because of how dark it was so I brought it and read the instructions it said if you leave it on 1-5 minutes it will be a pastel colour and go lighter so I left it on 4 minutes and when washed it out I've washed it 3-4 and the colour will not fade into a pastel colour I'm not happy with the results as all! Response from Schwarzkopf LIVE: Hi Lucy, to achieve a pastel result you need to mix the Colour Cream with the in-pack conditioner as specified in the Instruction Leaflet. We'd like to help you further with this to get you to the colour you're after so when convenient, please contact our Advisory team on 0800 328 9214 and an advisor will be happy to help. Great colour. Doesn't fade very quickly. Bargain price from places like Savers etc. Love it! Response from Schwarzkopf LIVE: Loving the look Laura, thanks so much for the review! 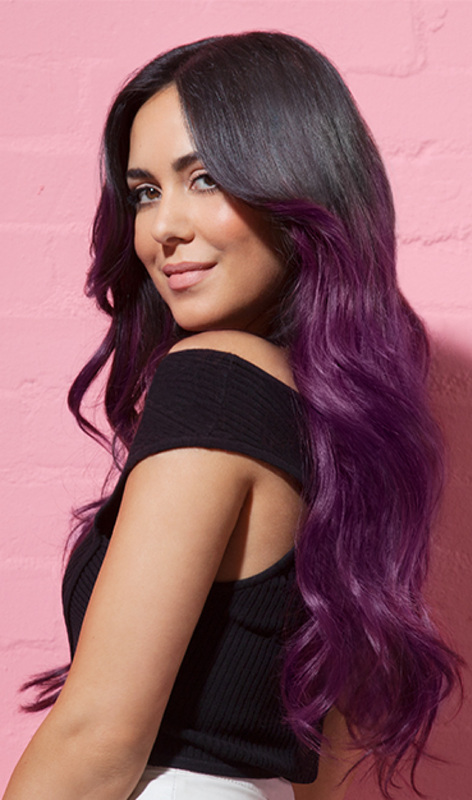 Great looking bright colour when used over pre-lightened hair and long lasting, it barely fades. The only thing that is difficult is when you do a full head of dye: One box contains a small amount. If you have thick, medium to long hair you Need to buy 3 boxes. Though, for just doing your roots, one box is perfect. Response from Schwarzkopf LIVE: Hi Rachel, thanks so much for your review! Response from Schwarzkopf LIVE: Brilliant colour results Lisa, thanks a lot for the review! Just used Shocking pink over the top of Pure Purple and my previously dark blonde hair is now magenta with no bleach! I love it! And best of all my hair is now soft shiny and healthier than before I coloured it! Thanks live colour I will be using your products for a long time to come. Response from Schwarzkopf LIVE: Hey Kat, wonderful to hear the lovely feedback - happy colouring! Response from Schwarzkopf LIVE: Brilliant to hear you're loving the shade, Mel! Response from Schwarzkopf LIVE: Fabulous pastel pink, Nicole - thanks a bunch for the feedback! Response from Schwarzkopf LIVE: Hi Nicola, glad to hear you liked the colour and sorry it’s not quite your style. Hopefully you’ve found another shade you like better - thanks for the feedback!